Arden share houses are shared accommodations allowing for high-value living at a low cost. Rooms are private, with tenants sharing facilities such as the kitchen or living room. 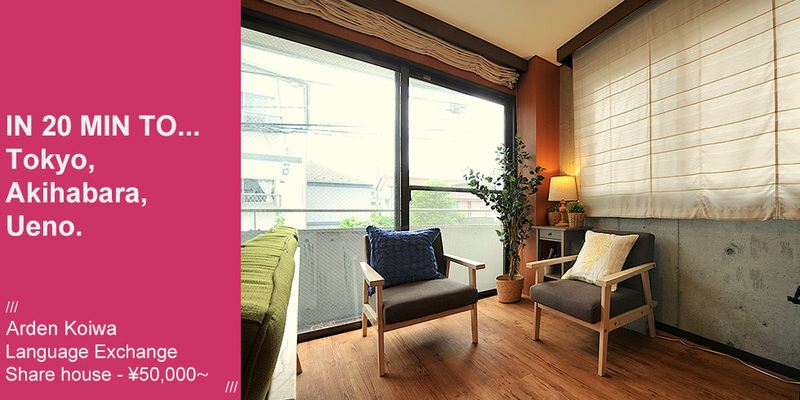 Every Share house is designed with aesthetics and comfortable living in mind. Enjoy both fully furnished private rooms and an active friendly community. Regular house parties with Japanese residents give you the chance to practice Japanese from home. 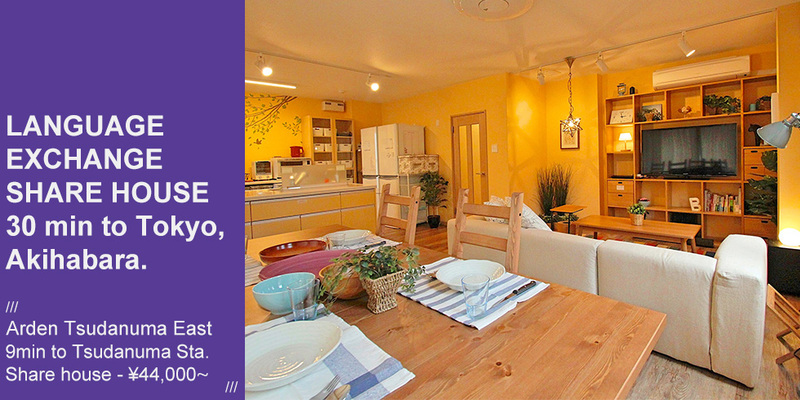 Every Share house has a spacious kitchen and lounge area, complete with appliances and furnishings. A security deposit and first month's rent are all that are required to move in. No worries about key money. Utilities such as internet connection, gas, electricity and water are all conveniently covered under one flat fee. Our friendly English speaking staff will help you! You can access to the Tokyu Den-en-toshi line SHIBUYA staton within 30min. The theme of this share house is `Language and Cultural Exchange`. Nice and beautiful house. Six members will share a small, tightly knit community. Additionally, every month there will be a house party. Concept is Language Exhange share house. 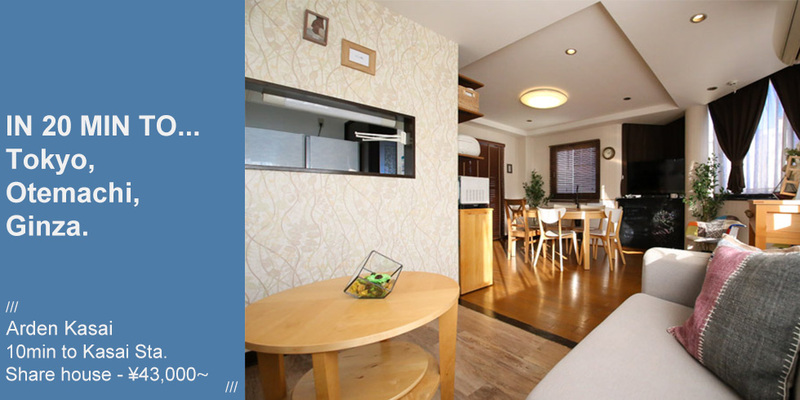 Make Japanese friends in a highly social atmosphere with all the benefits of a private apartment. 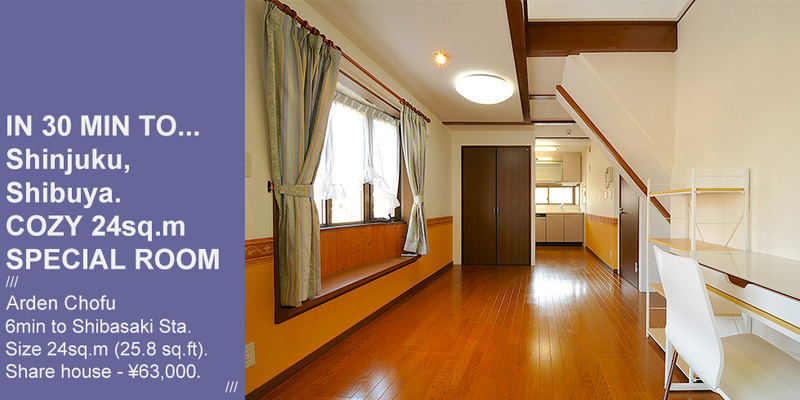 Enjoy a quiet and elegant residential area located only 7min from Matsudo station. 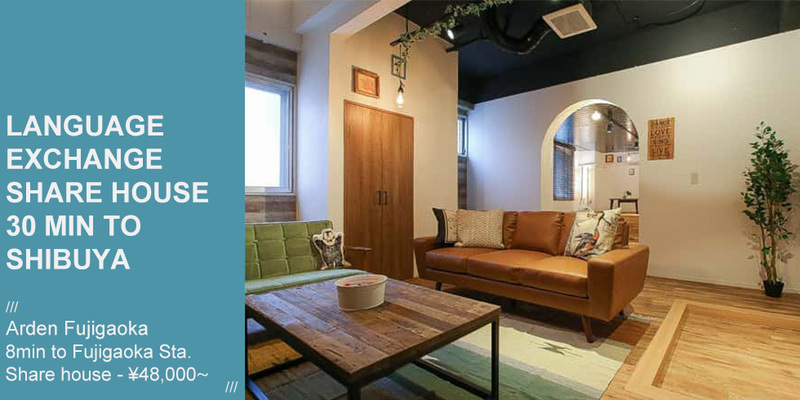 Direct link to Ueno and Otemachi station area with in 30min. Easily access many major points around Tokyo from Hachimanyama station. Shinjuku statin in 15min or Shibuya station in 13min.